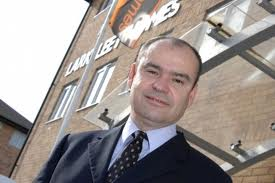 Karl Hick, managing director of Larkfleet Homes, writes exclusively for EasternNewHomeBuyer on choosing between ‘new’ and ‘second hand’ homes. As with a new car, he argues, a new home has no wear and tear, a manufacturer’s guarantee, better performance and reduced running costs. But unlike a car, a new home costs the same as a used one – and you could get assistance from the government and the builder to help pay for it. When you are buying a car you have two options – a brand new vehicle or a used one. When you are buying a home you have a similar choice – and in many ways, the reasons why you would opt for one rather than the other are similar. The big difference between a car and a house, however, is that a new house will cost pretty much the same as a used one. There is no great financial benefit in buying second-hand. Like a new car, though, a new house comes with a range of benefits. For a start, there is the guarantee. You may get a survey done on a second-hand house to provide reassurance that there is nothing much wrong with it. If something does go wrong, though, you will have to pay to put right. A new home comes with a ten-year guarantee. If anything goes wrong (which happens rarely – but it does happen) the builder must put it right. And the guarantee is backed by insurance, so if the builder is unable or unwilling to help, the insurance will pay for you to get another firm to do the work. Much more likely than anything actually going wrong is the need to make repairs due to ‘wear and tear’ and the simple passage of time. Again, the new house (like a new car) has obvious advantages over the used one – everything from the guttering to the paint on the garden fence is brand new. It should be years before anything needs major attention. There are few second-hand homes on the market where that will be the case. Running costs, too, are likely to be much lower with a new house than an old one. For example, houses are now built with much higher standards of insulation than they were only a few years ago. Larkfleet homes, in particular, are highly energy efficient. Your ‘running costs’ in gas and electricity bills could be £600 per year less with a new home than a used one built in the 1970s. And with gas and electricity prices rising every year, that £600 saving will go on rising year on year as well. Then there is the cost of decoration. You may be lucky and move into a second hand home which is not just in ‘good decorative order’ but has been decorated throughout in ways that match your taste. It is much more likely that you will move in and want to start redecorating straight away. With a new home you have a ‘blank canvas’ and, with many builders, if you start your discussions early enough – before the house is completed – you can specify everything from paint colours to the choice of kitchen units. Carpets, cookers, kitchen appliances and other fittings (all brand new, of course!) can usually be included in the purchase price. In addition, with a brand new home – as with a brand new car – there are often ‘incentives’ on offer from the builder that a private seller just cannot match. In today’s difficult property market, the biggest incentives are likely to be in the areas of assistance with finance. There are government schemes such as Help to Buy and NewBuy which give you access to government cash to help with house purchase. The Help to Buy scheme allows you to potentially own 100 per cent of your new home with just a 75 per cent mortgage and 5 per cent deposit. With this scheme, after you have provided a five per cent deposit and obtained a conventional mortgage for just 75 per cent of the purchase price, you will receive an equity loan from the government for the remaining 20 per cent (subject to approval). The equity loan is interest free for five years and can be repaid at any time or on the sale of the home. The Help to Buy scheme is different to other government schemes as it is not just available to first-time buyers. Current homeowners selling to buy a new home can also benefit from the scheme and there is no cap on household income in order to be eligible. NewBuy allows you to get a mortgage with a deposit of as little as five per cent of the purchase price. The lenders participating in the scheme – which includes many of the big banks and building societies – will provide up to a 95 per cent loan-to-value mortgage if you meet their qualifying criteria. There are also schemes available from house builders. At Larkfleet, for example, our Ezy-give scheme aims to help young people own their first home. It allows your parents, family or friends to pay 20 per cent of the purchase price and get a five per cent return on that investment while you, as the house buyer, have a smaller mortgage and a lower interest rate. With our Ezy-share scheme, you can own a new home but initially only pay 85 per cent of the cost. We pay for 15 per cent of the property and you then have five years to pay us for our 15 per cent – and no interest is added to the amount during this period. None of this financial help, of course, is available when buying a second hand home. So, a brand new home from a reputable builder offers benefits in easier financing, a guarantee against major problems, reduced maintenance and repairs, less need for decoration and lower running costs. If you are looking for a home, a brand new one offers many advantages over a second hand one.